Take a trip to the great outdoors of the Gold Coast to a location where you can fire a gun in the air and nobody gets hurt. If you’ve never gone clay pigeon shooting before, it’s a chance to see how handy you really are with a firearm and how many of those little clay buggers you can take down. You know what they say: sun’s out, guns out! 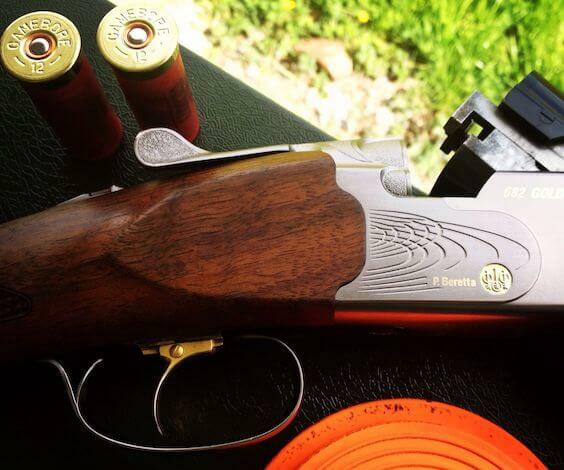 Clay pigeon shooting is an Olympic sport but don’t worry, anyone can play it including you! First you’ll get an expert coach to familiarise you with the sport and teach you how to handle and fire guns properly. Then it’s time to turn your weapon on the clay pigeons flying through the air. They’re harder to hit than you might think. But don’t worry, no matter how well or how badly you do you’re sure to have fun, and pulling that trigger is an excellent stress release. 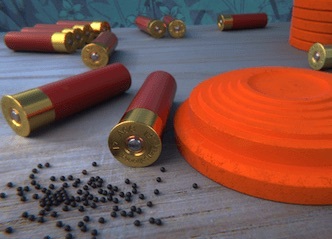 Gun Shooting Bucks Activity: If shooting clay pigeons has got you in the mood for guns, this activity is guns all the way! It’s definitely not something you get to do every day, so make the most of it. Let Wicked Bucks take you to one of the finest shooting ranges on the Gold Coast and let you fire off some rounds in a controlled environment. And like all great activities, this one has beers at the end of it too! Army Tank Ride Bucks Activity: Go from guns to tanks with this activity, which lets you go inside, inspect and even ride around in authentic Vietnam-era war tanks. There aren’t many places in the world where you can have an experience like this, so you’d better experience it while you can in the hinterland of the Gold Coast. Go Karting Bucks Activity: This activity is a little more innocent – no guns involved in this one – but it’s still an excellent bonding experience for everyone involved in your buck’s party as well as a spot of good clean fun. On a racetrack on the Gold Coast you can get your own little taste of race car driver glory by tearing around your tracks trying to show your friends just who the Go Kart king is. Paintball Skirmish Bucks Activity: Like Go Karts, Paintball is a firm favourite for groups looking for a good time. It’s also a thrill and a game of skill and strategy. Split into teams, pick up guns that fire paint instead of bullets and venture into the wild forests of the Gold Coast to see who can capture the flag – or whatever else the mission is. Best Bucks Party Restaurant Gold Coast: Perhaps all this talk of barbeque lunches to go with your clay pigeon shooting has put you in the mood for a nice steak? Or some seafood🦌 Wicked Bucks are Coast locals and if anyone knows some of the fine food available on the Coast, it’s us. Just send us a list of your requirements – no dairy, no gluten etc – and we’ll shoot you back a list of some of the very best restaurants the Coast has to offer, complete with names and addresses. Enjoy!